A make-up artist who is just three years old in industry and is already in demand among the brides to be. Add a little struggling story behind this passion of hers. Sounds like an interesting and inspiring one. Yes, indeed and read on to find what it is all about. We had a short talk with KritiDs from Delhi and more specifically Pitampura. Even though she got married at 18 (that’s too early; all this while I thought I got married so early at 24). After her wedding, she just did a self-course so that she can handle her own make up stuff and there it GOES as she went on to do a professional course. Though initially people were like this field has got no future and all stuff but her father and husband believed in her passion and she started doing freelancing. She is really considerate when it comes to handling brides and she understands that they are brides and all they want is to look really good on their day! 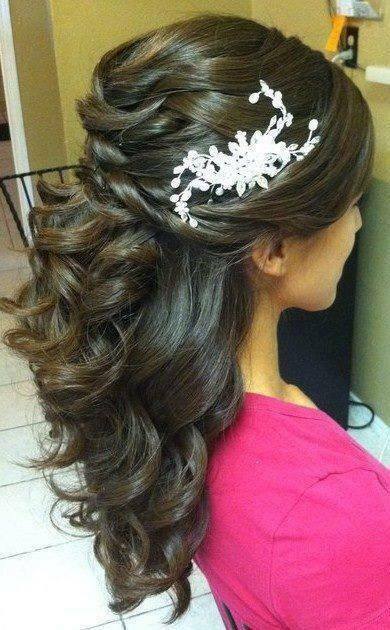 On any given day, with 10-15 brides visiting her salon, she has back to back appointments and walk-ins going on. 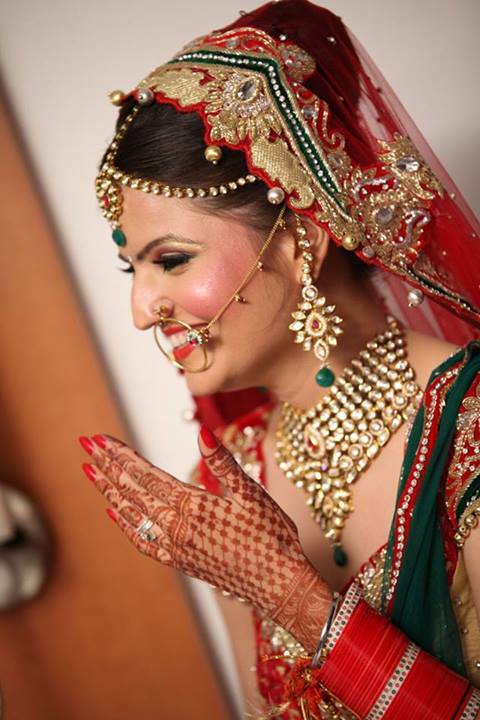 Me – I advise my brides to opt for salon as much as possible. What do you think is better, the bride to come to salon or inviting the make-up artist to their venue ? 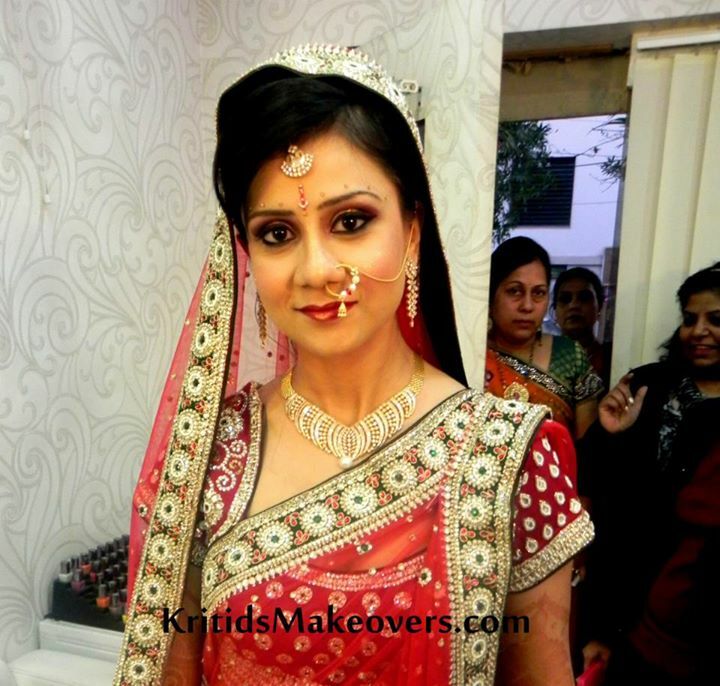 KritiDs – I would always advice my brides to opt for salon as much as possible. It is much easier for them and as well as for us. At home, there are several guests who come and wants to meet the bride, which really makes our work disturbed. It really happens when some or other guests comes in ask for several things. At salon, you don’t have to worry about anything, You just bring your stuff and all other work is ours with no disturbance. Me – Should the hair be done before make up or afterwards? What is convenient or it really depends on the styling ? 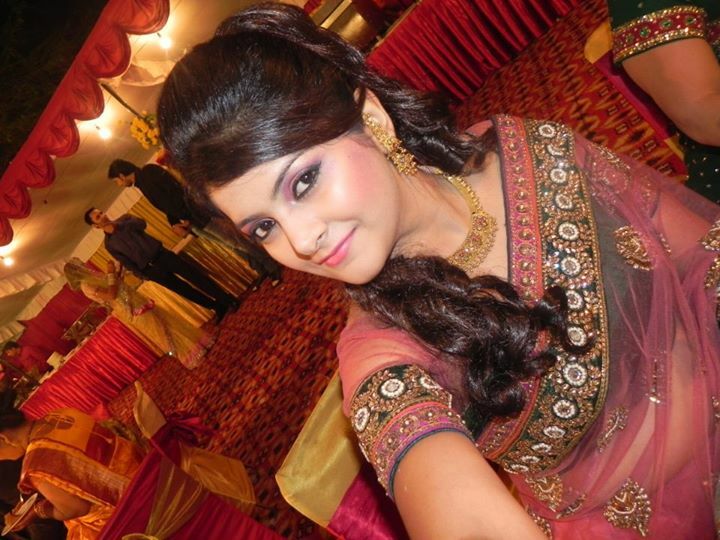 KritiDs – I always ask my hairstylist to do the hair before as it is much easier for the bride to judge the whole look and moreover, blow dryers and heat styling tools tend to make people sweat which messes up makeup. Also, for the makeup to look as fresh as possible it is best not to do it too early. Me – What products you recommend for the little Bridal Vanity Kit which bride may wish to have in her bag for those little after dinner touches ? KritiDs – This is a question that every bride asks me! One should have her lipstick and lip-gloss in her bag. Also her kohl pencil and most importantly her compact, which helps her to do touch up later. Me – Coming to your work, what kind of products you choose for your brides ? 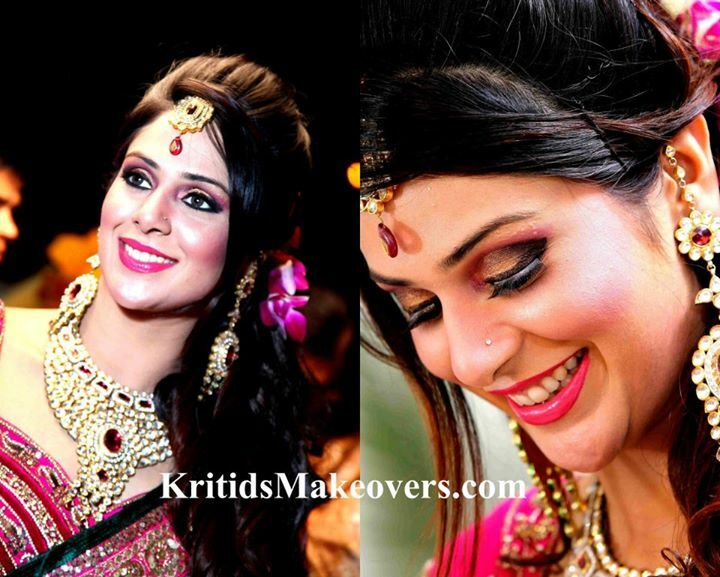 KritiDs – Products that I am love in and I use as well for my brides are YSL, Mac, Makeup Forever, Inglot. Mac and Makeup forever is always my favorite product for foundations. I keep the base subtle but love playing up with the eyes. Me – Do you also do hair styling and use hair accessories ? KritiDs – Yes I do hair styling; there is so much to do in it. I love trying out things and hair accessories are like icing on the cake! It really gives my hairdo’s a new look. Me – How important you think is it for bride to have a trial ? 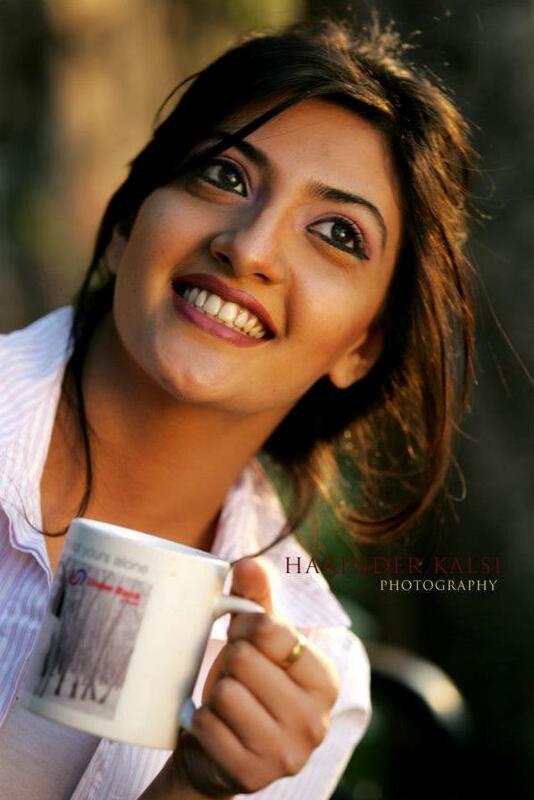 KritiDs – I feel trial is something where you get to know your makeup artist and her short piece of work. It also gives you a hint as to how much comfortable you are with them. 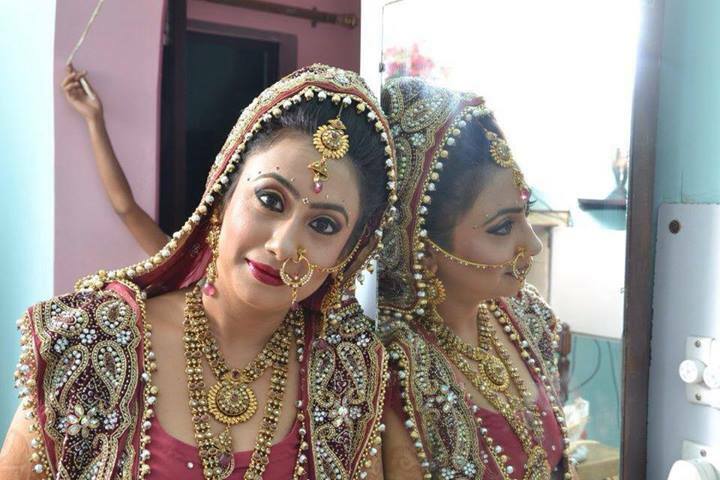 If a make up artist and bride are on same page, there are no last minute surprises on D Day. And here comes a quick look of her work. I really liked that almost all of her work is not edited and in raw form as once its shot by photographer and edited, the real work of make up artist is not visible. On the ending note, her dream is to open a salon branch in every part of India! As she has already started at a very young age and achieved a lot, we wish her all the very best in her endeavour. Hello, all the brides to be or you might want to note down her Salon address to meet and get your trial done, it is – KritiDS, Shop no 2, B-block Market, Pushpanjali, Pitampura, Delhi. If you are also inspired by her little story like me, shower some love on her facebook page. Now it’s even easier to find your makeup artist for your wedding or pre-wedding events, just drop us an email at info@memorableindianweddings.com with your wedding date, budget, no. of events for which make up is needed and we will advise you the rest. 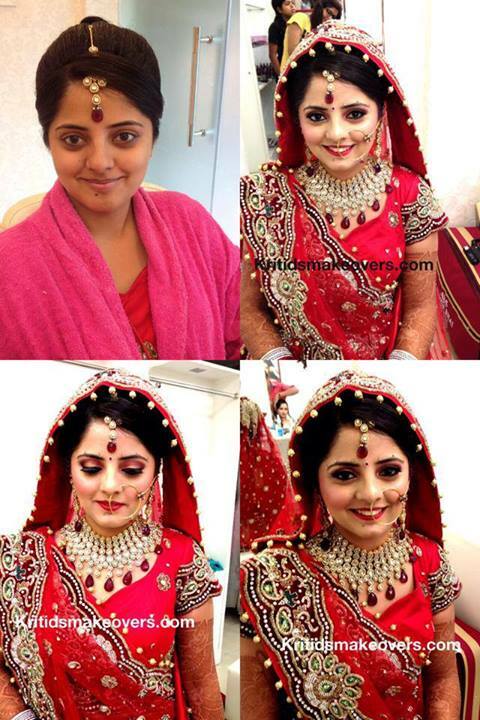 Very nice job done with bridal makeup, the before and after transformation looks amazing!